Malik El Djebena (Tahar Rahim) is an Algerian Muslim living in France. At the age of nineteen, Malik is arrested and sentenced to six years in prison for attacking police officers. Shortly after arriving he is approached by the Corsican Mafia who insists he murder a fellow Muslim inmate. Malik refuses at first, but soon learns the consequence of resistance could mean his own death. But murder is a whole different animal, and once the deed has been done, Malik continues to have visions of the dead man in his cell. But his compliance has earned him the protection of the Corsican Mafia, and so begins a six year journey of his rise to become a mafia kingpin. 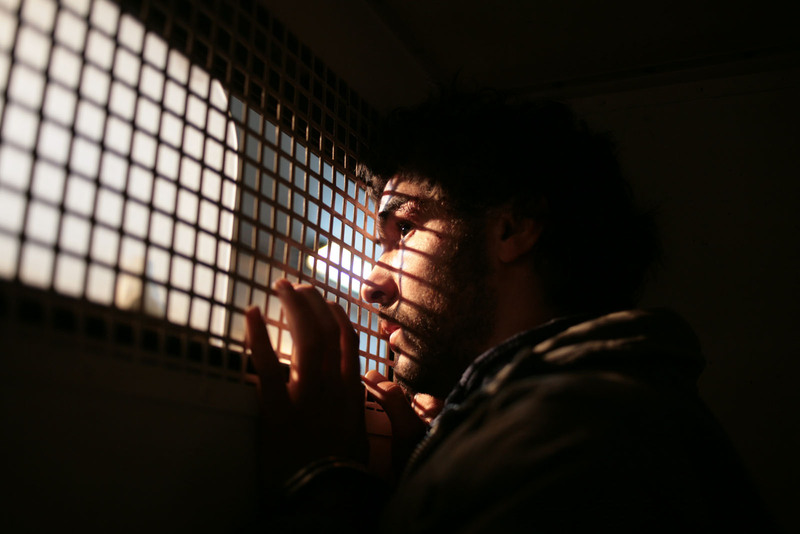 Un prophète is a violent and brutally realistic look at modern prison life. At first glance Malik’s experience of descending deeper into the criminal syndicate is heartbreaking. A viewer may pity Malik and mourn the waste of a young life. But a more thoughtful analysis will find director Jacques Audiard slyly holding a mirror up to society at large. After all, prison is a society unto itself. It has a hierarchy and rules, and each of its residents must determine how they fit into the cogs and gears that keep the wheels spinning. Each of us throughout our lives must make decisions, right or wrong, that help determine our place within society. As children we quickly learn the importance of aligning ourselves with the “right groups”. Consequently we learn that these alignments can sometimes come at a price. Perhaps we’ve hurt a friend at the expense of impressing a group of people from whom we seek acceptance. A young boy throws a rock through a car window to display his toughness to friends. A girl loses her virginity, while another smokes pot. A boy bullies his classmates, while another desperately tries to live up to his parents’ expectations. All of it out of the need to fit in and gain acceptance. And as we get older the need only intensifies as our society grows larger. No longer confined by our limited world of family and schoolmates, we now must learn to find our place in the world. The education we receive, the jobs we take, where we live, what we drive, who we love, what we read, what we watch, what we tweet, what we blog; our passions, our politics, our feelings, our lives are all on display for judgment by a global society. What have you done for the sake of acceptance and insurance of a better place within society? Audiard shows us a microcosm of extremes where acceptance fulfils the basic need of survival. Winner of the 2009 Grand Prix award at Cannes and the BAFTA for Best Film Not in the English Language, Un prophète is a beautifully crafted tale of viciousness out of necessity, and a powerful look at one man’s journey to fit into a world of violence, cruelty and despair. 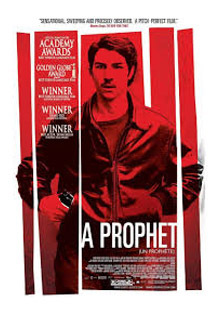 This entry was posted in Crime, Drama, Reviews and tagged A Prophet, BAFTA, film, Grand Prix Award, Jacques Audiard, movie, Review, Tahar Rahim, Un prophète. Bookmark the permalink. 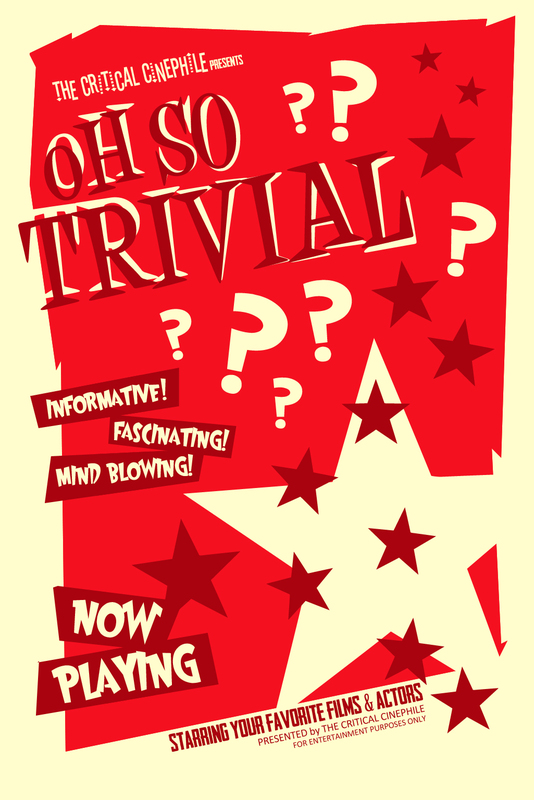 Oh So Trivial: Captain America: The Winter Soldier – Going Down? I was blown away by this when it came out. Tahar Rahim gives an incredible performance. It is an amazing film! What a film. Great post. Thanks so much! This film was really quite brilliant. Nice post. This is probably my favourite film from the past 5 years. I think it’s a masterpiece. One of my favorites as well. Superbly done. Think I would like this one? This doesn’t sound like me…. What have you done for the sake of acceptance and insurance of a better place within society? I love this film, so I can’t not recommend it. However, I’m not sure if it’s your cup-o-(insert hot beverage of choice here). It’s French so there’s going to be subtitles (although I’m sure there’s a dubbed version somewhere – which I would never recommend). However it is gloriously violent so you might be able to get on board with that. Oui. The director’s first choice was to do it in a northern dialect of Klingon. But investors thought that was too specific of a demographic. Sounds hard-hitting, but with a pretty intriguing twist too. Great review mate! Thanks for reminding me I still need to watch this! I actually own the DVD, so who knows why I haven’t yet. You should soooo watch it. It’s really well done. I think I found a great new movie to watch. The posters sold me when I just goggled it…but gangster film? Masterful film-making? Terrific acting?….I’m in. Excellent review….Poignant, philosophical, and profoundly DEEP…and utterly lacking your quirky brand of humor …sigh, I’m bummed and may have to go eat some CHOCOLATE!! !